gaining new experiences, learning new skills and making new friends. and leaving only a footprint behind! At St. Paul's we believe that the kindergarten years are an essential part of a child's early development and learning. Through the experiences they participate in, children will form basic attitudes, skills and knowledge on which they will build throughout their lives. At St Paul's Kindergarten our most important goal is to help children become enthusiastic learners not just at kindergarten but in every aspect of their lives. We try to encourage the children to be creative explorers who think their own thoughts and are not afraid to try out their ideas. We aim to help to develop a positive sense of self which will help them throughout their lives. At kindergarten we cater for the individual needs and interests of each child, allowing them to learn at their own pace and in ways that are best for them. We teach to the five outcomes outlined in the National Early Years Framework. These outcomes are Identity, Community, Wellbeing, Learning and Communication. We provide experiences and intentional teaching that allow the children to develop in each area. The Pastor and members of the congregation from St Paul's Lutheran Church visit the children weekly and share with them a simple message from the bible, a prayer and a song. We practise the song throughout the term and sing it at the Church for Kids service, held a couple of times a year, on a Sunday at the church. We aim to uphold the Christian values of Kindness, Respect, Tolerance, Patience, Forgiveness, Acceptance, Love, Gentleness and Self Control. The staff encourage this in the children every day and aim to provide them with a good working model of these values. St. Paul's is inclusive of all children regardless of ethnicity, religious denomination and ability. All cultures and beliefs are respected and all children are provided with a respectful and inclusive program. Bush Kinder is an integral part of our program. We are excited to be able to offer this opportunity to our kindergarten community as we feel the benefits to the children will be significantly helpful to their future education and in all aspects of their development. At Bush Kinder there are no toys, tools or art supplies. 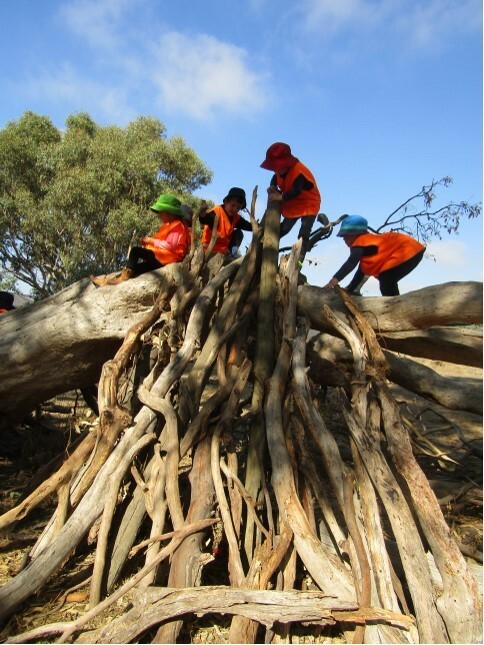 The Bush Kinder experience enables children to play with whatever nature has provided, and leaving only a footprint behind! Mud, sand, water, leaves, sticks etc. can stimulate children’s immune systems making them sick less often. Children are more resistant to stress, have lower incidence of behavioural disorders, anxiety and depression, and have a higher measure of self-worth. 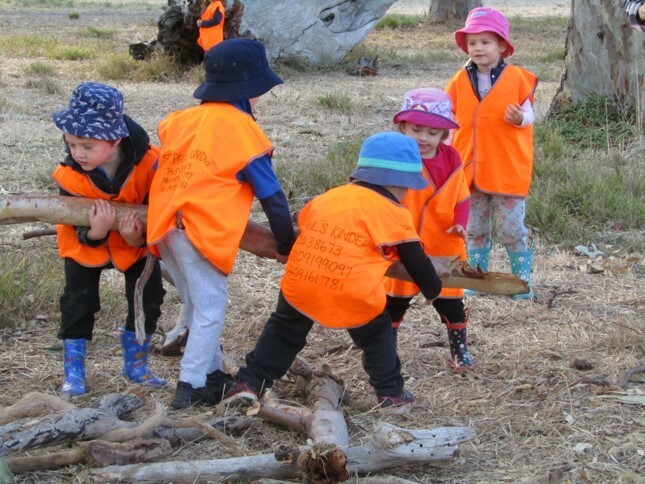 Bush Kinder deepens children’s understanding of community and where they fit in and offers Encourages a well-connected, cohesive community that is environmentally aware. St Paul's has a team of educators, made up of qualified Early Childhood Teachers, qualified Early Years Assistants and a qualified Service Leader, that have many years of experience in the kindergarten sector and are dedicated to providing quality education for 3-5 year old children. Our educators work cohesively with each other and all share similar approaches to the education of the children in their care, this gives the children a sense of security throughout their kinder journey. All educators are warm and caring in their approach and have a genuine passion for early childhood education. St Paul's Lutheran Church is committed to the success of our kindergarten and provide members for our management committee who are dedicated and diligent in their jobs. Parents who choose to be part of our management committee also have a strong focus on the success of our kindergarten both now and in the future. Our aim is for you and your child to have happy and rewarding kindergarten years with us, gaining new experiences, learning new skills and making new friends.